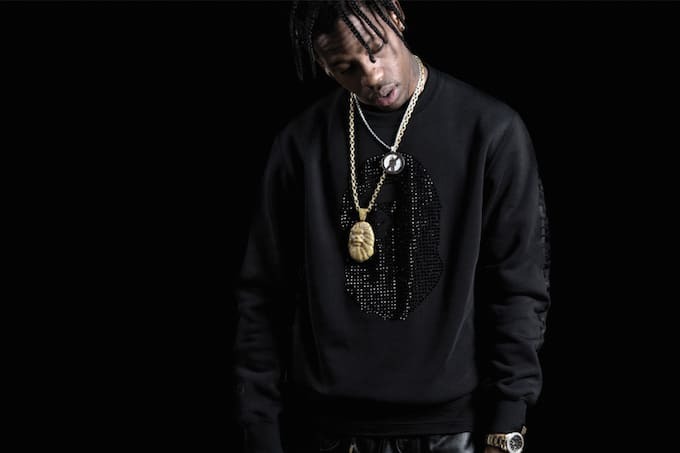 BAPE shared news a week ago that they would be introducing a new high-end line of product under the name BAPE BLACK. 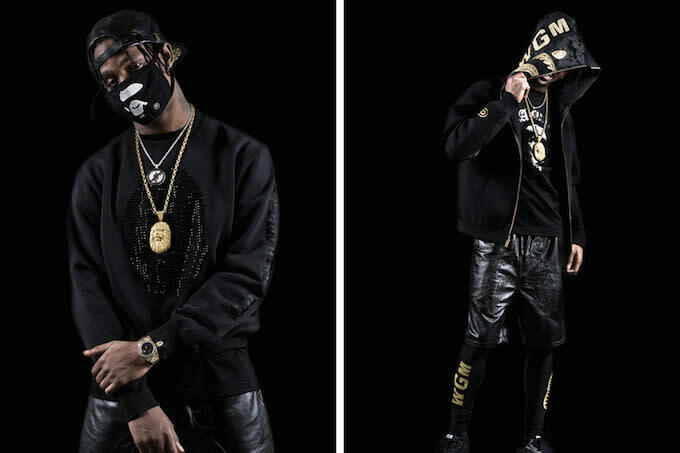 Yesterday we finally got a first look at some of the pieces from the Spring/Summer 2015 collection, including premium black and gold Shark hoodies, T-shirts and sweatshirts with the "A Bathing Ape" logo in Swarovski crystals, and a gold-plated New Era snapback with the brand stitched into the underbrim. 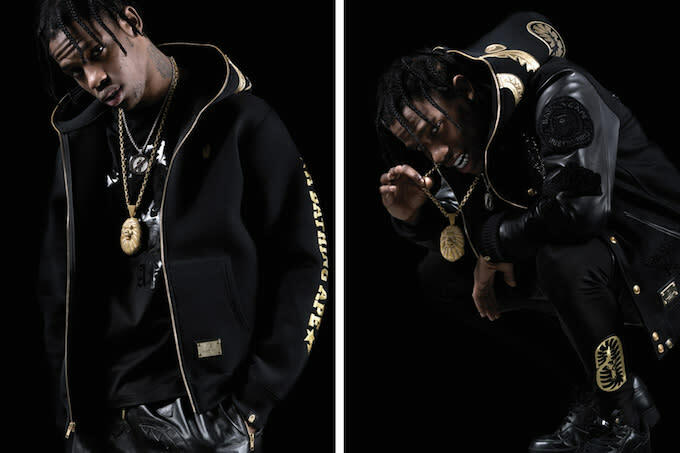 The first lookbook for the collection has hit the Internet today, and it features Houston rapper Travis Scott in various pieces, including the sweatshirt, a BAPE face mask, the Shark hoodie and Letterman jacket, and the leggings and leather shorts, all complimented by one of the dopest gold BAPE chains we&apos;ve ever seen.